Animal Protection Legislation in Northwest Territories Stalled Again!! I am now requesting that a letter writing campaign be started to put the necessary pressure on the Ministers in order to put an end to this apparent stalling. I am now requesting that a letter writing campaign be started to put the necessary pressure on the Ministers in order to put an end to this apparent stalling. Only last month two 5 week old pups were rescued out of the Fort Liard dump, they were abandoned and left to die, and were covered with pipes to hide them. Pups are now in foster care in Hay River. Further 3 people were attacked in Yellowknife by a German Shepherd which had to be shot, due to the negligence of the dogs owner in allowing the animal to run at large. 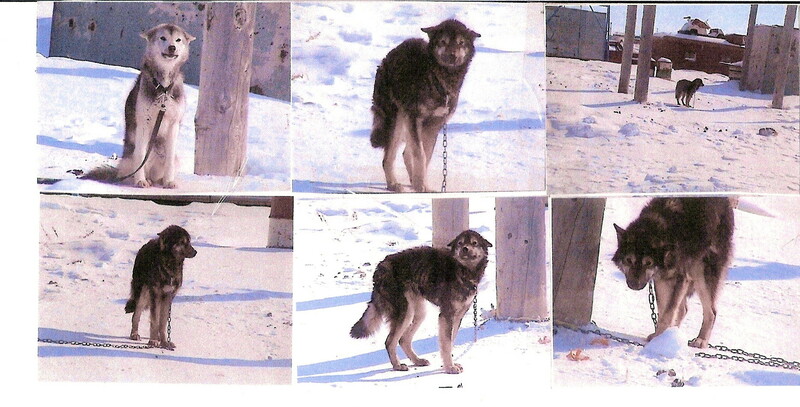 In March 2010, in Hay River, a beautiful Collie “Ginger” found herself abandoned by owners who moved and chose to leave her behind. STATUS: Campaign began April 2008. Letter of January 10, 2010: whereby Robert McLeod (MACA) says “anticipates advancing this work to Standing Committee in January 2010”. In a prior News North Article (attached) Mr. McLeod says “We kind of agreed the Dog Act provisions need to proceed as quick as we can,”……. Robert Bromley addressed the Legislature on February 12, 2009 Page 2176 of the Northwest Territories Hansard, and David Ramsay spoke out on November 3, 2009 (CJCD 100 Online) “MLA Unhappy with state of NWT animal rights laws. He also spoke out: New North May 25th, 2009. In a March 10, 2009 email from Mr. Ramsay whereby he states ” I have had numerous discussions with Minister Lafferty about new legislation and I really do believe that we can have a new act in place by this time next year”. Would therefore be March 2010 ahd it not been postponed in going before Comittee. The GNWT Ministers appear to keep pushing this needed legislation back. We need to get a letter writing campaign going. First it should have been in place by March 2010 as speculated by Mr.Ramsay, but it never went before committee. Then Mr. McLeod’s letter dated January 10, 2010 cites bringing it before Committe in January 2010, and now his latest letter dated May 6, 2010 says it won’t go before Committee until likely Fall 2010. Copies of GNWT Feb 12, 209 Hansard is available on request, as are other documents and the audio file. Please email: protectionof northernanimals@gmail.com to request. Animals in the Northwest Territories are in desperate need. Please write to and urge the government to stop postponing this important legislation.